"Team Healthcheck" is a proven team dynamics organisational development technique originally established when I was leading our global account team responsible for handling Procter & Gamble; its deployment assisted a high performance team to expand its horizons and embrace cultural change that allowed us to achieve record-breaking growth that was recognised and applauded by the client. 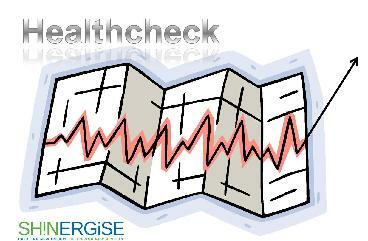 Since establishing Shinergise, the approach has been considerably strengthened making it more robust and further real life deployments has led to the development of new Healthcheck dimensions focused on 'delivering new results' for multi-functional and collaborative teams without losing any of its unique 'creating new energy' touch. A unique approach customised to the needs of the situation, not a one-size-fits-all approach. Shinergise's Healthcheck process is designed to create stronger linkages between team members, across functional, cultural and indeed organisational boundaries. The personal style and approach means that the observations, results and actionable outcomes belong to the team and not to the consultant / coach. One-on-One interviews gather key participant perspectives, seek out common issues, discover individual concerns and challenge existing paradigms. Drivers of ChangeTM is one of the tools that Shinergise would deploy in this diagnostic phase. This is an essential milestone in building alignment around the common strengths and weaknesses, the opportunities and challenges that face collaborative teams. For some, it is often the first time that issues have been raised, for others, it is the opportunity for the issues to be properly discussed and not simply left unsaid. When dealing with collaborative teams involving Open Innovation partners, this is a crucial phase at which common perspectives are established and disparate views are identified and clarified. Not always necessary depending on team size and composition, though usually advantageous, cross-functional teams involving collaboration partners where appropriate are briefed to explore specific issues and report back with recommendations to the whole team. Splitting the challenge into manageable pieces leads to faster resolution and by deploying multi-functional or multi-partner teams means that the recommended solution already embraces different perspectives. This is one of the major milestones in the Healthcheck process - at this point it is essential that the symptoms and underlying root causes have been identified and the total team (including senior management sponsors where appropriate) have now got to agree and get behind future action plans to address the issues identified by the Healthcheck. It is worthless identifying issues, agreeing plans and then not proceeding with the execution phase; experience has shown that the contribution of the external coach / consultant is crucial to success - reminding team members of their commitment to common goals and critical milestones. 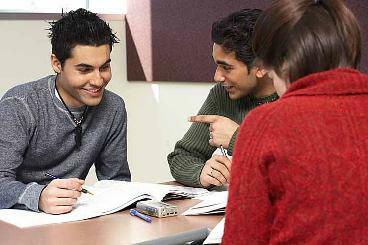 Sub-team syndicate sessions focus on the collective feedback and collaborative challenges. MARS, MACH, Symrise, Intel Healthcare, Swiss Precision Diagnostics, Firmenich (India). This Creative Conversations approach also formed the basis of the joint work conducted for Microsoft together with CCL.